Are you attempting to micromanage the Law of Attraction, limiting the Creator's ability to deliver all the abundance you desire? Do you attach conditions to the requests you make of the Source? Do you have a bad habit of negating your invoices to the Universe as quickly as you make them? I've been working with a self-published author over at my day job Spiritual Blogging, but the lessons in Manifesting I've explored with him have universal applications. Chris wrote a book about surviving the suicide of a loved one. He struck up a conversation with me one day at the cafe where I go to write in the afternoons, asking me what I was working on. I told him I was a writer and professional blogger. His eyes lit up as he began telling me about the book he'd written and was looking to publish. "I'm not looking to get rich off this book, but I do believe the message is important. I just want to put it out there, but that's not going to happen until I can scrape together about $5,000." "Why do you need $5,000 dollars before you can put your book out?" I asked. "Oh, it's going to cost that much for the printing. I'm hoping my brother will pay me back some money he's owed me for the past few years, and if I combine that with the money I could get if I sell my motorcycle, I'll be able to pay the printer." 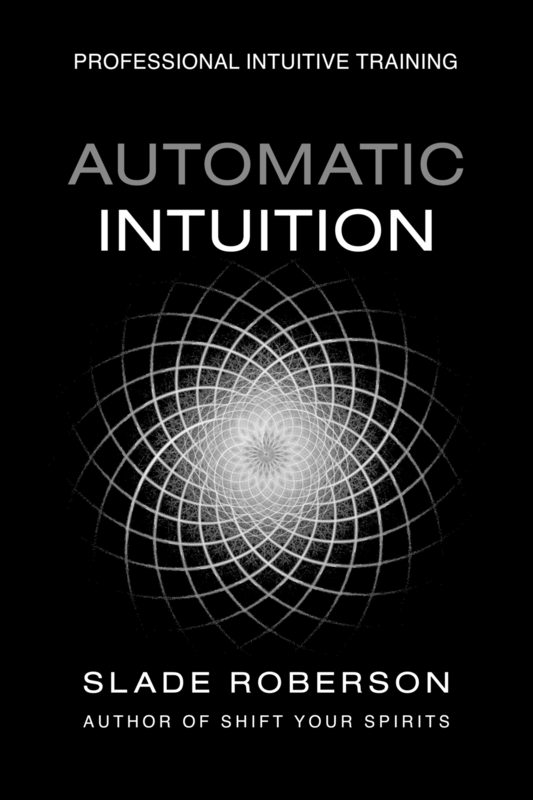 During the conversation, Chris expressed an awareness of the Law of Attraction, the Secret, and he presented all the "right" vocabulary regarding manifesting techniques. Yet every time he mentioned a desire, dream, or goal -- and even though he used all the popular, optimistic New Age terminology -- his sentence structure betrayed a serious problem. He limited, negated, and unraveled What he desired with destructively detailed Hows and Whys. "Tell me again WHAT you require to put your book out there?" I asked. Chris repeated that his "book is totally ready to go, but before it can be printed, I need to..." and he recited an even more detailed laundry list of things that must occur before his book can be published. "So, you need the book to be printed. That's WHAT you need, right?" I prompted. "Yes, but..." and again he launched into all the But's. I stopped him. "Wait a minute, wait a minute. I'm trying to show you something here. Indulge me. Tell me WHAT you require -- just a simple statement of WHAT it is exactly. No if's, no and's, no but's. Again, what does the book need to be realized." "My book needs to be printed," he said, "so it can... well exist. So people can actually read it." I showed Chris that his ability to manifest THAT did not require any further conditions or circumstances -- that there were all kinds of variables and possibilities he was dismissing. He was misinformed about self-publishing -- the information he had was relevant about fifteen years ago. His idea of HOW a book could be published was locked in his (mis)understanding of all these requirements with limitations and details that were not even current or accurate. What's even worse -- he was actually defining all the reasons his book would NOT be published -- in the very same sentence, the same breath. He was basically attempting to manifest something by declaring all the things that would keep it from ever happening. "What if I told you that if you have written a book, you can move straight to producing, marketing, and selling it, without investing a dime in printing overhead? What if I removed that hurdle -- that printing price tag -- from what's keeping your book from being published?" Chris looked at me like I was about to tell him he'd won the lottery. I immediately brought Chris into 21st Century Book Publishing by introducing him to the wonders of consumer generated media and Print-on-Demand publishing. I explained to him that What he had asked for was a way to get his book printed and bound, and that the Universe was delivering that to him -- not in a check, not in money -- but simply in the form of information that made his hurdles irrelevant. The Creator has access to so much more than you may be aware of. Let the Universe do its job. Don't define HOW it must answer your requests for assistance. A month or two passed and Chris found me in the cafe again one day. I asked him how the book was coming along. "It's gonna happen, man!" He was very optimistic -- BUT... "The only thing holding me back now is finding someone to edit it. All the proofreaders want a really high feed to read it. So as soon as I can get a little extra money saved up to pay for having it edited, I can publish it through Lulu.com or Amazon BookSurge." "Hold on. Wait. Let's edit your intentions first. WHAT do you need? No but's. No circumstances. No money conditions. What do you want? What assistance do you require, without any limiting factors?" I prompted. "Think carefully -- it's not money you need, it's a person, right?" He was ready for me this time. "Okay, okay. I see. I need the Universe to send me an editor to read over my book." "Give it to me, then," I said. "I will Red Pen it for you." "But, how will I pay you? How much would you charge?" I could hear Chris's fear of its NOT happening beginning to pen a list of more hurdles to overcome. If he'd given me permission to talk to his spirit guides, there can be no doubt I would've heard them groan and throw their hands up in the air in frustration. "You can pay me by recommending me to anyone who asks you how you got your book published," I said. It never occurred to Chris that such a service could be bartered, or that there could be a value placed on it in a form other than dollars. I edited the book for him. The next time he saw me, he was beaming. He whipped out a perfect bound copy of his book and gave it to me. I congratulated him and told him how proud I was of his accomplishment. "Yeah, man, the only thing I need now is $2500 to put up a web site to promote the book so I can sell it," he said. "WHAT?!" I almost came out of my chair. "Well, yeah, that's what Web Developer X wants to put the site together. And I also guess I need a blog, like you have. I found a college student who said he could set up the blog for $250. So, once I sell a few copies of the book to people I know, off-line, I can pool the money from selling it and put up a web site." Here we go again... "WHAT do you need, Chris?" "I need a web site to promote my book. BUT -- I know that I could learn to do it myself, I just don't have the time to learn all the HTML, and all that. I mean, I could pay to set up a blog, but then I still wouldn't know how to actually use it. I'm setting a goal for six months from now." "So, WHAT you need is a blog and someone to teach you how to use it yourself?" "And at least a few hundred bucks to pay for it!" Chris just HAD to add that in. Mother of God, give me patience, I silently prayed. "As before, WHAT you need is information. What you need could also be a WHO," I suggested. "Exactly. But, man, I have to admit something -- I asked around. That dude over there told me you charge $3000 to set up a professional blog." "Didn't you just tell me that you wanted to learn how to do it yourself?" I reminded him. "Yeah, that would be ideal." Chris had not up, until that time, even explored my blogs (that I know of). I handed him a card with the link to my D.I.Y. Problogging Tutorial. "I do charge $3000 to develop a web site. And I'm not taking clients right now, either. But what I can do is give you the information to do it yourself. That'll cost you about $60. You can accomplish everything you want this weekend, if you really want to badly enough." Chris had set up round after round of specific, narrow scenarios that he believed had to occur in order for What he required to be taken care of. He placed hurdles of How's and Why's in front of all his goals. He presumed limiting factors like X amount of dollars -- he even over-stated HOW the financial assistance he thought he required would come to him, from what source, and in what time frame. None of his assumptions were accurate. All he really needed to ask for was the assistance to see his book realized. That was the WHAT -- and it didn't come in a form he could've ever predicted. Who knows, if he hadn't met me, maybe he would've met a printer who would've read the book and believed in it so much he would've printed it for him for free? Or maybe he would've met a design student looking to build up his portfolio, willing to work on the web site for the experience? Miracles don't need you to manage the details -- they just require you to notice and receive them, and to act upon the opportunities that present themselves to you. The next time I saw Chris, he had been reading my tutorials, and my articles on Spiritual Blogging, and this site. He said he'd read every article in the Shift Your Spirits Archives in basically one marathon round of surfing. "Man, can I ask you something? About my spirit guides? Everything I wanted to do for this book -- you just handed me all the answers. None of it was about the money I was attaching to it. It was all information. Do you think maybe my guides led me to you, in response to what I was trying to manifest?" I just acted as the cosmic delivery man. Chris' enormous accomplishment was well within his reach. I was uniquely positioned to simply point it out to him. Hey, I even made $60 for my trouble.